“If you hold on for one more day… You can break free free from the chains! Let me not leave you hanging any longer. No. I have not been cured. I remain in the incurable state of Stage 4 Metastatic Breast cancer. However, I am still treatable! Right? So for the past 2 weeks, we’ve been testing the fortitude of my latest new course of my treatment. As I’ve mentioned before, I am no longer receiving infusions for my chemotherapy, but receiving 2 oral chemotherapies daily. I take one form of chemotherapy every morning from now on, indefinitely until it no longer works. (My oncologist, Dr.Jay Saux, even has plans for what he would do in the case that the chemo stops working. ) Why is that? Every treatment has a shelf life. As your body starts to figure out what you’re doing to it, the cancer cells start figuring out the programs to get around the treatment. Thus, we’re always scanning and reevaluating the progress in my treatment to see if we’re still on course. At this point, God has made our medical team unstoppable! Can’t stop this! Can’t touch this! SO HERE’S THE GRRRRRREAT NEWS!!!! I’ve undergone a full body PET scan, a lumbar MRI, cervical MRI, thoracic spine MRI, and finally, a brain MRI…. all in the past week! Whew! These are scans that I now have to do every year at this same time of year. At this time of year since that first mammogram in July of 2014 (which led us to the biopsy in August which diagnosed me with STAGE 3 invasive ductal carcinoma), we haven’t began a school year without new difficult news of a new diagnosis or relapse. My oldest daughter, my “Sidekick” as I call her, had begun to and often announced that she no longer liked her birthday because it was so mixed up with emotions of fear that Mommy is going to get another bad report. Meanwhile, her siblings were afraid of coming home to Mommy and Daddy sitting them down to say my hair was going to fall out for a 4th time because I had more tumors to treat with chemo and more radiation. The beginning of school has become more and more challenging for us on so many different levels that we can’t even fully verbalize. BUT WE HAVE BROKEN THE CHAINS AND ARE SET FREE FROM THAT CYCLE. NOW WE CAN CELEBRATE THIS TIME OF YEAR!!!! SO WHAT”S THE SCOOP? What are my results this time?? MRI OF THORACIC SPINE, CERVICAL, LUMBAR: All looks very clear. Nothing of real concern. We’ve been watching one area on the lower spine for a while and testing my spinal fluid for a while (which has remained clear), but will continue to keep an eye on it. After docs both here and at MD Anderson have looked at images, they feel I can remain on the same meds bc they cross over the blood brain barrier and are working well. We’ll scan again soon. All else is clear! This is NOT in my spinal fluid, which is amazing. My response : “God showed up! I share this not because I believe that I am favored anymore than anyone else. I share this to give hope that it is possible. God can do the impossible. I know the reality of my situation and I know how things could be. I have lost many friends and have many friends who have not received such news. This keeps me humble and forever grateful to be so blessed. It also keeps me living in the present and grateful for today. I know how quickly things can change. There fore, today I am grateful to wake up and enjoy my family. And I have great hopes, looking forward to tomorrow. My brother, Fr.Beau Charbonnet, prayed over a huge crowd of us at a praise and worship group (Singing at the top of my lungs in prayer is my fave type of prayer. I get lost in it!). He closed his eyes, reached out, & asked for the words. And out came…. Talk about truth in the midst of the laughter. And look at what happened! HE came in and busted it up! Tumors? Gone! Busted up. Thank you, God! You busted it up! My God fights for me! He fights for us all if we let him. If we really, truly step aside and let HIM. Please, please, PLEEEEEASE check out this link below that my husband found and has been getting us through these last few weeks of getting ready for school, getting ready for these scans, and preparing for this time of year for our family. “HELLO, thanks for waking me up today. Thank you for getting me this far. Don’t leave me now! Seriously, Don’t leave me now. The road before me is long, and my treatment is indefinite, but as my grandmother, “Pic” (my mom’s mom) would always say, “If God’s gonna take me, I’m goin’ with my boots on!” (In other words, she’s not going down without a fight!” And that’s just what she did. She went with her boots on. My boots are on, I plan to fight just the same. And that’s true, RUN DMC was right! It’s TRICKY!! But rather than just “rockin’ the rhyme” as they put it. I gotta rock cancer and balance life in general, too. Yet, I know I am not alone! We all have our “cancer’s” in our lives, roller coasters, and our crosses. Which is exactly why we started BUNA’s HOPE! In honor of the blessings that we’ve received with these scans, we’d like to pay it forward through our non-profit (your non-profit bc of your support). Buna’s Hope will be expanding its reach to families internationally. We’ve researched & decided to work with Food for the Poor to build a home for family as well as a water well and pump for clean water for a village! We feel this would help many families that are in need and accomplish our goal of bringing JOY and HOPE to families in need of a sign of God’s love for them. 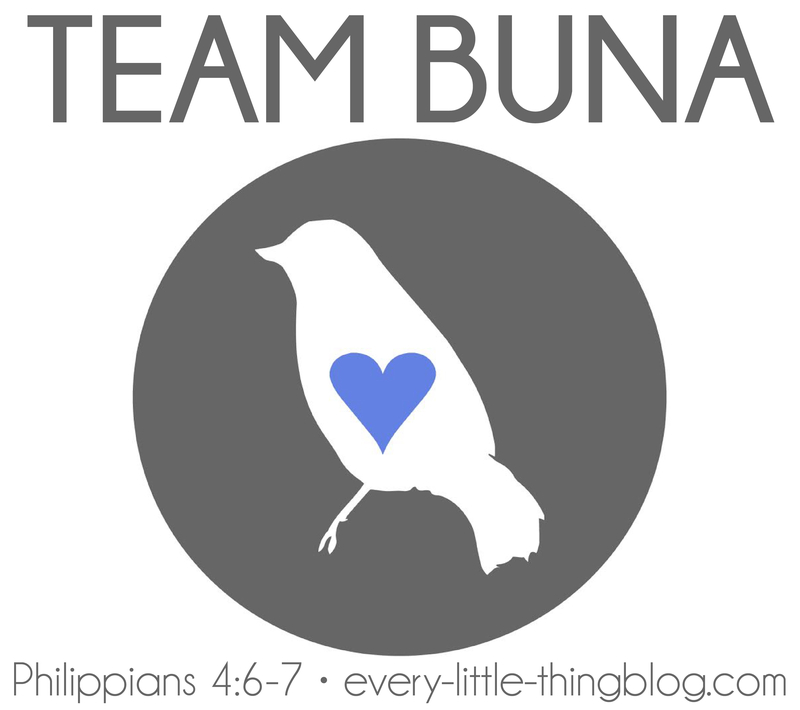 Meanwhile we ask YOU, TEAM BUNA, to add the part of PRAYER for those families in their struggles (that grace will come upon you in return). I love summertime. Let me make that perfectly clear from the start. I choose the heat and the pool over the cold and the layers of clothes any day. I like the decrease in schedule without homework and less carpool schedules, etc. I like having more opportunities to play with my kids and have us all together as a family without the clock always ticking to wrap it up for the early school bell the next day. I love all of this in the perfect world that I picture of all of us moving blissfully and peacefully with no pushback from one happy vacation to another, moving about the home with no arguments, always gracious with one another in our ample time together in and out of the house, and my patience overflowing for my children who I love immensely and am forever grateful for being what keeps me going while I continue my chemotherapy in the midst of it all. REALITY: Although we have incredible adventures, laughs and have made so many memories this summer on family and friend trips, our times away and at home are full of fun but not without friction in between the good times. And not without the “MOMSTER” rearing her ugly head! As I laid out my description of my picturesque summer daydream for me and my family. They’re so rudely interrupted by disgruntled siblings arguing over who sat in whose seat, who turned off who’s Alexa song, or even the youngest (4 yr old) who uses her “Alexa voice” to avoid listening to her parents instruction with an “I’m sorry, I didn’t get that.” Ooooooh that one. She’s gonna be the end of me. This summer has been one to remember for sure! Multiple trips to the beach (My happy place! Or even just my getaway place if all is not perfectly all happy, relaxed, peaceful, blissful, beachy days) made for great pics and memories with family and friends. RV Trip w the Enks: Key West! I always say to seize the day when you can. When I feel good, I get out and enjoy what I can when I can. When my body tells me NO, I try my best to listen and rest when I need to. Do what you can when you can and thank God you woke up to do it. It’s not always pretty, it may not go as perfectly as planned, and you may feel or look a little crazy doing it, but crazy is good, and can still be worth it. Managing my crazy, managing this family I still am forever blessed to have and be inspired by to wake up to each day and have reason to fight for, are all reasons to know that I need GOD now and always more than ever at my side to move me from one day to another. Because in my mind, it’s like a bowl of spaghetti! I’m a hot mess! I’m distant, distracted and discombobulated keeping track of ordering my medications, staying on top of taking each dose, staying on top of the daily routines and schedules of my 5 kids’ schedules/camps/social activities, and keep on top of still make sure our homes and bodies are clean and fed. Oy! With a brain that’s not at full function all the time after a more than a few zaps here and there, it’s hard to work at full throttle. I feel the difference, and I ask HIM to give me more and more graces every day to help me function. I tell the kids regularly that if my mind does really go. Remind me to potty and dress me in costumes. Each day I can be Tinkerbell, Wonderwoman, or any other magical whimsical person. I just pray I’m happy as whoever you tell me that I am for the day! I already dress up, so the transition should be smooth. Brace yourselves. I don’t doubt this won’t happen! With God’s grace, we’ll all get through this. We’ll get through the ups and downs of my treatments and patience in not only parenting and family life through it all, but in the anxious moments of waiting between scans and praying and hoping that each treatment is working. When feeling as discombobulated as I’ve mentioned, I find my mind worn down and under stress in prayer. I find myself needing to make a much more conscious effort to place my trust in God for the future and live only for today with no concerns for what scans may reveal of different types of treatment, procedures and possibilities that may lie ahead. How clearly God shows up when I find myself in these places. God speaks so clearly when I place my heart and my mind there with Him. He always shows up. See in this reflection and verses in my morning prayers from this past week in my “Jesus Calling” book. Tomorrow is indeed a new day, a fresh day and a day that God will unfold for me when He is ready and will unveil for me when I am ready and thus will receive the graces for it when necessary. I continue to thank you for sticking with us for these past almost 5 years now and I pray you continue to stay with us in pray and support as we are still in this race. Know that I keep you all in prayer as well. 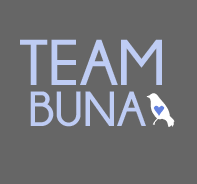 Thank you for joining and remaining as a part of #TEAMBUNA. I invite you to continue to send me your intentions through comments on my PRAYER WALL TAB or privately emailing me at teambuna@gmail.com. As I’ve mentioned before these intentions that we pray for each other are an opportunity for us to share in redemptive suffering and share in our crosses, and receive grace upon grace. Such power lies there! Let’s tap in to that and get recharged.